I'm at a crossroads in my studies, deciding about a research project. Can a mentor help me work this out? The first cavemen had to be mentored to make fire. So, your question has been relevant throughout mankind’s history. No need to narrow your search to solve one research problem. A relationship with an exceptional college mentor can last throughout your career. Mentors are found in academia and the workplace, wherever you seek to learn from someone with experience. Here is what we found about college mentoring. 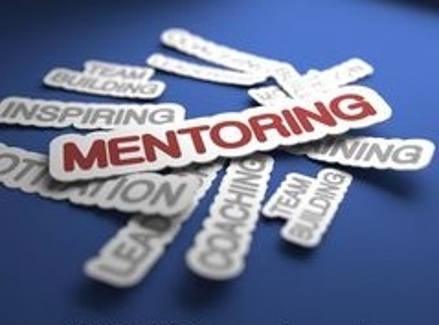 Mentoring, which is a common concept in university life, focuses on educational and personal development of students to achieve better results at college. For students, it's a good way to get a helping hand with studies and research for college projects. An experienced mentor can act as a role model and offer support and advice. Many colleges have mentoring programs specifically designed to connect students with trustworthy adults or older peers who can offer guidance. Universities are also now hiring professional mentors to counsel students and a number of websites also offer mentoring services. Some of the most valuable learning can come from one-to-one time with someone willing to share their wisdom and engage with you personally. Talking to lecturers and older students is a good way to find a mentor, as is getting involved in extracurricular activities both in and out of school. Coaches, counselors, and advisors who all work with students can all be potential mentors. In your community, business leaders may become mentors, seeking involvement with a graduate school. A law firm may provide mentoring in order to help build closer ties with the school’s network of professors. Building a rapport with your mentor is essential as all relationships thrive on effective communication between parties. This is only achievable by spending time together to grow in confidence and build a mutual understanding. The more open you are with each other the easier it becomes to share your concerns and seek guidance. Parents may want to interfere in mentoring matters, but you need to be direct. Independence comes from leaving home and being in control of college difficulties yourself. Of course, your mentor can advise you, but you need to be open and honest with them to achieve a better outcome. Trust is a two-way process so a good mentor will need to trust you as much as you do them. "A true mentoring relationship should last far beyond college", suggests realtor Ryan McCann. Mentoring in the workplace can shape your career development. Teamwork and goal setting are important elements of the student-mentor relationship. By sharing your goals with your mentor, you can both work towards achieving them and attain better results as a team. Absorb your mentor’s instructions, as they are likely to have the experience to guide in the right direction. Schedule specific times for meetings and advice sessions. The relationship is reciprocal and works on mutual contribution and sacrifice. Mentoring only works when you both strive diligently towards your goals. Students can get a great deal out of mentoring at college, you are not alone in your struggles and many have walked the path you are now following. My mistakes have been my greatest mentors - Steve Maraboli.